Ceramic wash basin part of the CITTERIO range, featuring a single tap hole, shelf space to the left and no overflow. 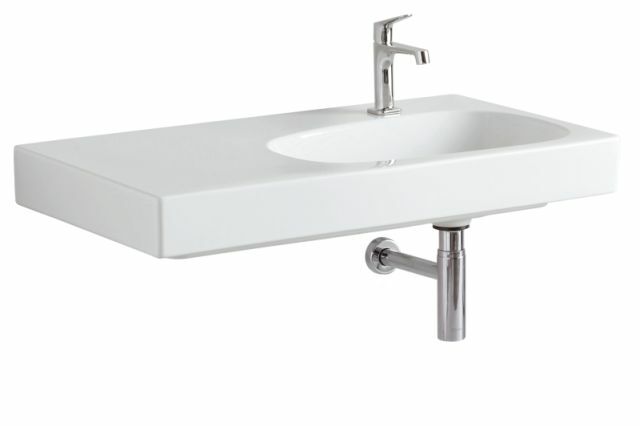 It has a white ceramic domed cover cap and can be combined with a vanity unit. Also available with Clou waste and overflow system.